Use of patent analytics for strategic patent prosecution. Start with patent examiner allowance rates and time lines and grow with a suite of prosecution tools that drive material efficiencies. 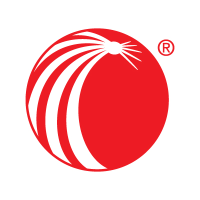 Work for LexisNexis Patent Advisor? Learning about LexisNexis Patent Advisor? What Intellectual Property Management solution do you use? FoundationIP is a cloud-based solution that centralizes portfolio management, automates administrative and docketing tasks, and allows collaboration amongst all stakeholders. Inteum is an innovation management software that helps you to manage your innovations, relationships, and transactions that carry ideas forward to commercial realization. Inteum integrates all aspects of your portfolio into one intuitive platform that you can access from anywhere. AppColl Prosecution Manager is a cloud-based IP management product designed to significantly increase productivity while reducing both the costs and risks of running a small patent firm or corporate IP group. IPfolio provides collaborative IP management software that is designed for corporate IP groups of all sizes, with what you need to engage your inventors and start managing your portfolio strategically. ClaimMaster is a software tool for patent proofreading and analysis. ClaimMaster automates error-checking of patent documents, allowing you to create internally consistent and well-written patent applications. In addition, ClaimMaster streamlines numerous patent prosecution and litigation tasks. ClaimMaster is fully integrated with the latest versions of Microsoft Word. Alt Legal prepares, files, and tracks USPTO filings by automating the administrative and repetitive aspects of IP work. Patrix specializes in software solutions with Patricia®, an all-inclusive, platform agnostic, IP case management system that has helped professionals for over 20 years. Our philosophy is to safeguard your investment for years to come by providing continuity to our clients in our product development, choice of technology, and upgrade path. Choosing Patrix as a partner means zero upgrade fees, full transparency on costs, and the latest technology at your fingertips. Inprotech offers you a one-stop IP practice management solution that centralizes IP practice by managing the risk of errors and labor-intensive manual activies by automating many IP management processes. Computer Packages provides patent and trademark intellectual property management systems and patent annuity payment services that have the capabilities to help with costs of the patent, trademark and annuity management. Anaqua IP offers practice management solutions and services to help you manage your clients' intellectual assets and the firm's law practice. * We monitor all LexisNexis Patent Advisor reviews to prevent fraudulent reviews and keep review quality high. We do not post reviews by company employees or direct competitors. Validated reviews require the user to submit a screenshot of the product containing their user ID, in order to verify a user is an actual user of the product. Hi there! Are you looking to implement a solution like LexisNexis Patent Advisor?